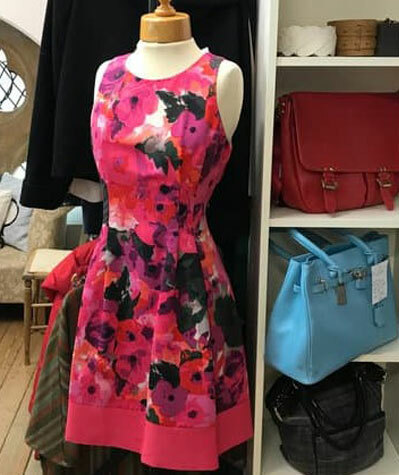 Now in its third year of operation,’ The Wardrobe’ offers a wide range of new, nearly new and designer ladies’ clothing in a selection of sizes and styles to suit all tastes, at a fraction of High Street prices. The range includes coats, occasion dresses and suits, jackets, tops, skirts, trousers, hats, shoes and belts. The stock changes regularly ensuring that our items are seasonal and up to date. If you have good quality ladies’ garments in excellent condition that are languishing at the back of your wardrobe, why not bring them along for us to sell for you? The Wardrobe takes a commission on all items that are sold, however, if they do not sell within the allotted time, there is no charge and items are returned to the owner. Alternatively you can just come in to have a look at what we have to offer and perhaps snap yourself a real bargain! Mondays are designated as” accepting new stock days”, between 10am and 5pm at the desk on the first floor. The Wardrobe is situated on the first floor between Anna Clare and Sparky’s Suitcase. If Mondays are not convenient please call Sandra on 01206 322499 to make a mutually convenient appointment. The Clothing Exchange shall retain 40% of monies from the sale of items. Items remain the property of the customer until sold or returned. Every care will be taken of items, but the Clothing Exchange cannot accept any liability for loss or damage. All items must be appropriate for the season. Clothes must have been laundered and pressed, or dry-cleaned. They must be in good condition, with buttons and zippers intact. Items will be retained by the Clothing Exchange for 2 months, after which point, if unsold, will need to be collected by the customer. The Clothing Exchange will inform the customer of this by email or by phone. 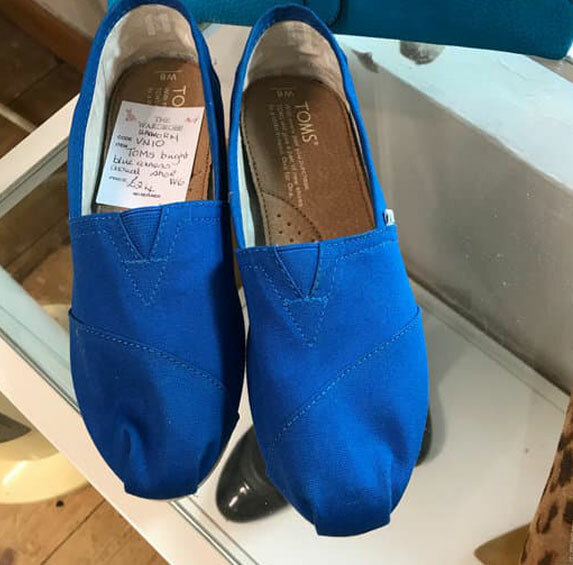 If the customer fails to collect within a reasonable period of time, their item will either be sold at sale price, and the proceeds donated to charity, or the item will be taken to a charity shop. If the item sells, the customer can collect money due to them at the beginning of the following month. Collection must be by prior arrangement, and only on the production of the receipt or proof of ID.